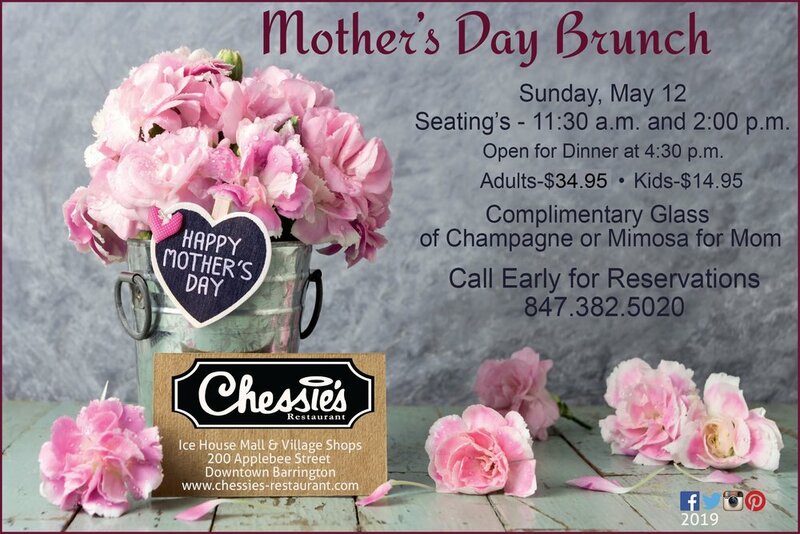 Celebrate Mother’s Day at Chessie's Restaurant in Barrington at the Ice House Mall & Village Shops. Make your reservations for an exquisite Mother’s Day Brunch on Sunday, May 12 with seating’s at 11:30am and 2:00pm. Treat Mom and all the women in your life to a delicious Mother’s Day Brunch with carving stations, cold and hot buffets, a wide array of side dishes and a delectable dessert buffet. Mom receives a complimentary glass of champagne or Mimosa. Call for reservations at 847-382-5020. Grab a friend and stroll through the Ice House Mall during the month of April and enjoy the month long event, April in Paris presented by Savvy Spirit Women's Clothing & Accessories, Paris Market Antiques, Chessie’s Restaurant, Barrington Fine Rug Gallery and sponsored by the Barrington Cultural Commission as part of the Inaugural Community Cultural Months of Barrington. 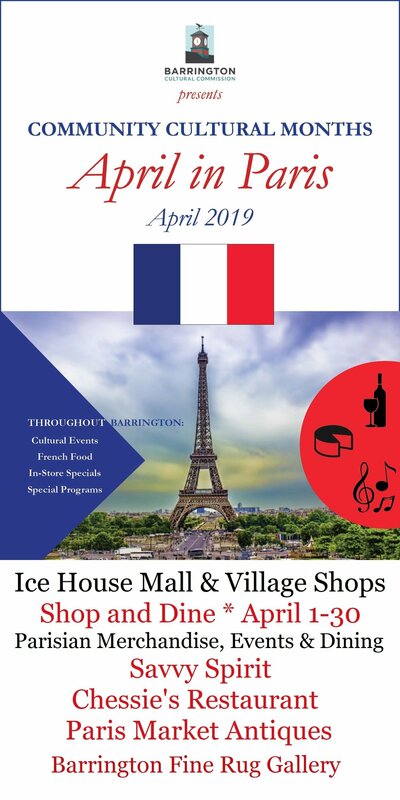 Look for the April in Paris signs and French flags marking participating stores that will feature French inspired clothing, furniture, jewelry, home furnishings, accessories and menu favorites throughout the month of April. 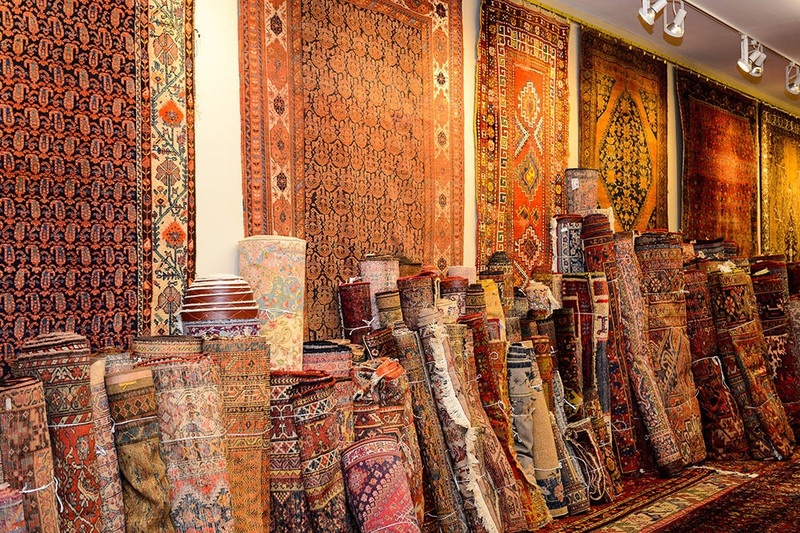 Grand Opening of Barrington Fine Rug Gallery on Wed., Aug. 22 4pm!